The UF Department of Surgery celebrated it’s 10th Research Day on Wednesday, April 16. Primary Mentor: Lyle L. Moldawer, Ph.D.
Primary Mentor: Adam Beck, M.D. K. Craig Kent, M.D., F.A.C.S. Dr. K. Craig Kent was appointed the A.R. 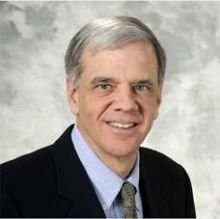 Curreri Professor and chairman of surgery at the University of Wisconsin in 2008, following a successful tenure as chief of the division of vascular surgery at Weill Cornell Medical College and Columbia College of Physicians and Surgeons in New York City. Dr. Kent has authored more than 285 peer-reviewed manuscripts, as well as 60 book chapters and reviews related to vascular surgery and intervention. His work in restenosis and the pathogenesis of aneurysms has been continuously funded by the National Institutes of Health for the past 17 years. He is also the principal investigator of a T32 Research Training Grant in vascular biology. He has contributed significantly to the clinical research arena with publications in Circulation, JAMA and Stroke, as well as other leading journals. Among these contributions are reporting and practice standards and guidelines that have emanated from collaborations with multiple other specialty societies. Dr. Kent has held leadership positions in numerous organizations including serving as president of The Society for Vascular Surgery and director of the Vascular Board of the American Board of Surgery. In addition, Dr. Kent was recently named as a director to the American Board of Surgery. Reflecting his international reputation in the field of vascular surgery, Dr. Kent has been a visiting professor to nearly 50 departments of surgery around the world and has delivered many invited lectures and keynote addresses. Dr. Kent completed a general surgery residency at the University of California, San Francisco and fellowship at Brigham and Women’s Hospital in Boston, where he was the John Homans Vascular Fellow. He received his medical degree from the University of California, San Francisco and a bachelor of science degree from the University of Nevada. In addition to his academic accomplishments, Dr. Kent has remained an active and busy vascular surgeon with a referral practice of complex aortic and carotid disease. He has been listed among America’s Best Doctors by Castle Connolly for the past 12 years.